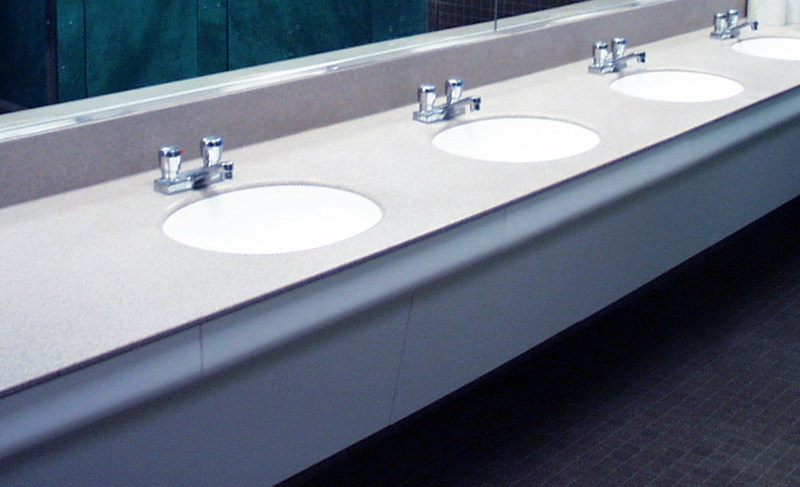 Modular vanities in public buildings receive a great deal of use and abuse. That’s why we’ve designed ours to withstand heavy traffic while providing maintenance crews with easy access. 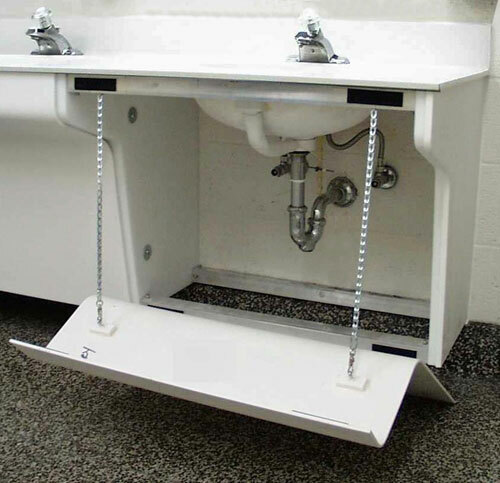 Each of our ADA compliant modular vanities are constructed of a stout polyethylene frame and covered with tough, durable solid surface. 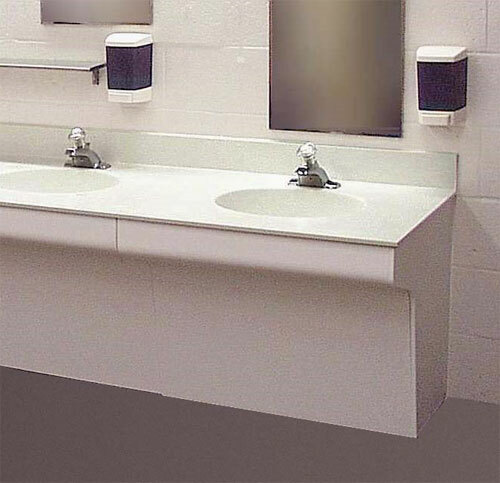 Available in a variety of colors, solid surface is nonporous and discourages the growth of mold, mildew or fungus. The front cover of each vanity is removable to provide access for plumbing repairs and also discourages vandalism. Each vanity is designed so that it doesn’t touch the floor – which saves on wear and tear – and also allows cleaning crews to do their job quickly and efficiently. It’s the perfect solution for high-traffic lavatories in universities and other public buildings. ASST vanities are shipped directly from our location in Pennsylvania, and arrive at your facility ready to be hooked up to the room’s water supply. The bowls integrally mounted in each vanity are resistant to damage and stand up to constant use. Our vanities stand up to the rough and tumble pace of any bathroom, and look good doing it.